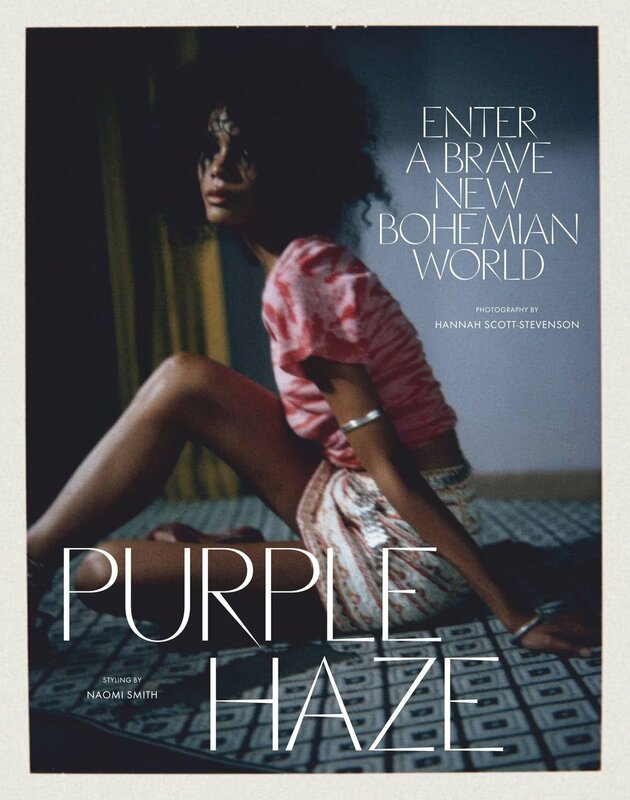 IMG rising model Ines Joseph is styled by Naomi Smith in ‘Purple Haze’ , lensed by Hannah Scott Stevenson for ELLE Australia April 2019..
Joseph is of French Indies background and is trained as a ballerina — I assume in Paris, as we found nothing in the Carribean, specifically Cuba which is known globally for its ballerinas. IMG could do a better job of getting her background and bio out there. Joseph is about 18 — listed as 14 in the video below. Her ballet training not only gives her extraordinary flexibility in posing but promotes an ease of physical self-expression, which is always great in a model. Her Instagram is private.